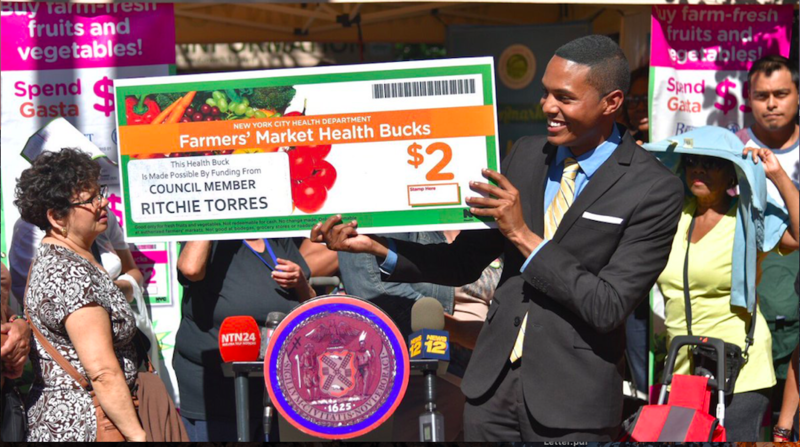 Health Bucks are paper vouchers, worth $2 each, developed and distributed by NYC Health Department District Public Health Offices. For every $5 a customer spends using snap, s/he receives one $2 Health Buck coupon to spend at the farmers market. This increase of 40% in buying power stretches a SNAP budget and encourages shoppers to spend more of their monthly Food Stamp allotment on fresh produce from the market. Community-run farm stands are strategically located throughout Austin in areas that are easily walkable to residents of the community. 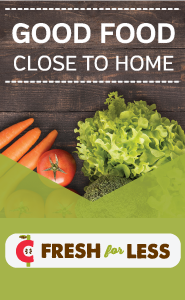 Each stand offers fresh produce from Central Texas farms at reduced prices and most stands accept SNAP benefits and offer the Double Dollars program. In order to combat so-called “food deserts” Austin is also home to mobile markets that can be easily set-up and moved to prioritize areas that have few or no options for buying fresh produce. In addition to produce from local farms, mobile markets offer staple goods like pasta, spices, and beans. In April 2017, Arkansas Governor Asa Hutchinson signed into law H.B. 2150 —To Strengthen Known Incentive Programs For The Supplemental Nutrition Assistance Program (SNAP). The bill authorizes the Arkansas Department of Human Services to support programs including the Double Up Food Bucks incentive program along with Healthy Active Arkansas partners that offer incentives for healthy food purchases by recipients of Supplemental Nutrition Assistance Program (SNAP) benefits. Each year the Senior Farmers Market Nutrition Program (SFMNP) provides benefits to 817,751 seniors in 52 states and federally recognized Indian tribal governments. In order to maximize the impact of these vouchers, some states have opted to supplement the federal bennefit with state funds. In 2017 the Connecticut General Assembly voted to increase dollar amount that seniors can redeem from $18 to $25 per market season. Eligible residents of Washington D.C. can receive $10 worth of Produce Plus checks when they visit a participating DC farmers’ market. Produce Plus checks can be spent on fresh fruit, vegetables, and cut herbs at over 50 farmers markets across the city. Produce Plus is funded by the DC Department of Health and administered by the nonprofit DC Greens. SNAP recipients will receive an instant, dollar-for-dollar match credited to their EBT card on eligible purchases. HIP can only be earned through participating HIP locations and using SNAP/EBT terminals that have been programmed to process the new benefit. Earned incentives can be used right away, or saved for a future purchase at any SNAP retailer on any SNAP eligible foods. Find a HIP retailer nearest you by visiting MassGrown . Sunflower Health Plan has partnered with the Health and Wellness Coalition of Wichita and the YMCA to offer the Double Up Food Bucks program. Double Up Food Bucks is offered at the Kansas Grown! Farmers Markets in Wichita and Derby, Old Town Farmers’ Market, and Common Ground Producers and Growers Mobile Market. The Wichita farmers market season runs through October 27.